You can connect multiple repositories to a single Craft product in existing GitHub integration or when you set up a new GitHub integration. Go to Sync panel from 9-dots menu in the upper right corner of the screen. Click 3-dots menu next to GitHub integration and open Repositories. 3. 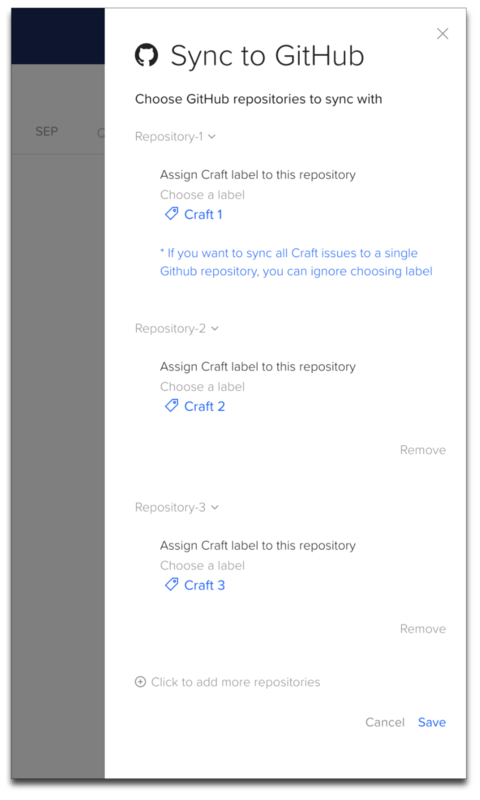 Choose additional repositories to sync with and assign Craft labels to them. You can create a new label right from here, if needed. Note: Items that were synced to (or from) previously connected repository will remain linked to that repository even if you assign a new label to them. 4. Click Save and then Push. 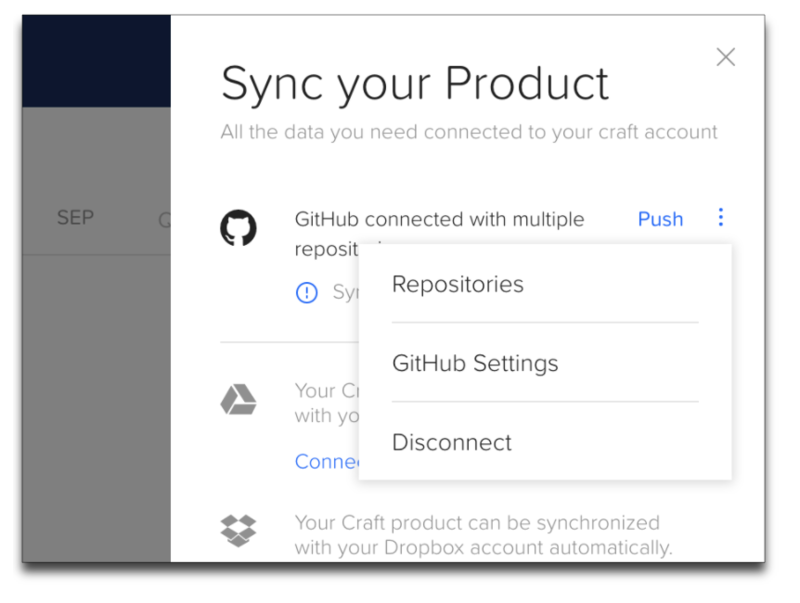 To connect multiple Github repositories to a Craft product in a new integration, follow steps as described in this article http://help.craft.io/integrations/github/github-sync .